On the next day of our visit to Mumbai, we planned to visit the very renowned Mount Mary Church of Mumbai. As most of the time in Mumbai is spent travelling and reaching the destination, it was important that we start early from our hotel to devote quality time at the destination and enjoy the place. Keeping this in mind, the next day we left the hotel soon after breakfast and hired a taxi for Mount Mary Church, which is located in Bandra. 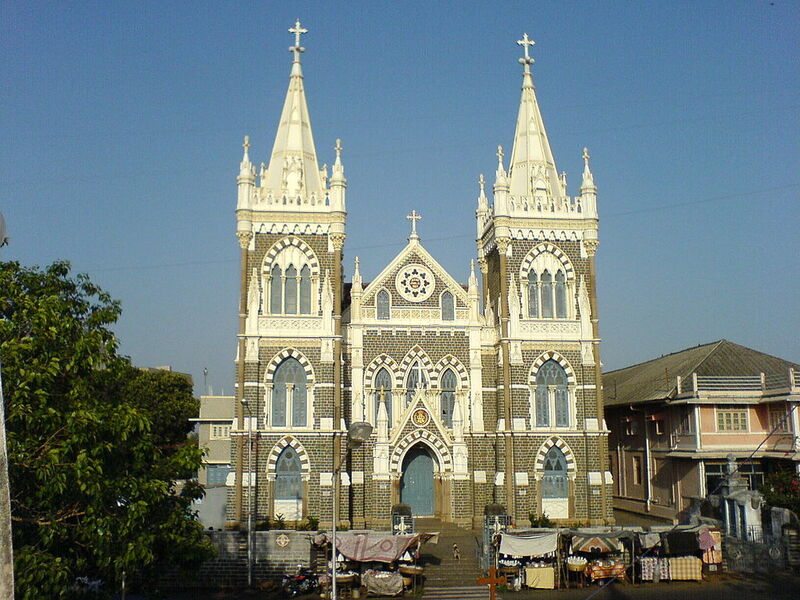 The Mount Mary Church is a Roman Catholic Church devoted to ‘Virgin Mary’. This ancient church was constructed in the year 1640, after which it was destroyed and was rebuilt in 1761. The church is also famous as ‘The Basilica of Our Lady of the Mount’. We instantly realized the beauty of the church on reaching the place. The added feature was that the church was situated on the peak of a hill known as ‘Sunderban Bandra’, so that one can overlook the vast Arabian Sea from the church. Apart from its beautiful location and architecture, the church is also famous for its incredible and magical healing powers and because of this reason, numerous devotees visit the church every day to get ailment from their sufferings. Due to this reason, many non-Christians were also present to offer prayers at the church. Within the church was installed the 16th century statue of ‘Our Lady’. We noticed that people were offering wax images to Virgin Mary. We were told that people offer wax figures that depict their illness to Lord and it is believed that they will get cured. The ‘Feast of Mount Mary’ is a popular week-long celebration that is held in the month of September every year at the Mount Mary Church. At that time, tourists visiting the city make sure to visit the church and the celebration. Many festive activities are carried at the church throughout the year. The church is also famous for the amazing view of sunset from the hill. Though we missed that, but we did enjoyed the mighty Arabian Sea roaring in front of us.